In the second Iron Man movie, Tony Stark creates a new element in his basement. And that’s not even the most amazing part of that scene – after all, we just created four new elements this month. What’s amazing about that scene is how he does it. Surrounded by floating images, he works in perfect sync with his computer. He’s immersed in the user interface. He can physically grab hold of the ideas he digitally designs and manipulate them in 3D. Until now, this was the most far-fetched part of this sci-fi story: he’s immersed in the creative process. This week, the World Economic Forum in Davos is asking the planet’s greatest thinkers what the world will look like in 2030, and whether we’re headed for a Fourth Industrial Revolution. Science fiction is already moving into reality at Davos, with robotics like HUBO showing up at the conference. From where I work at HP, the next Industrial Revolution is well underway, and 2030 will look a lot like Iron Man’s basement. In movies, the process of invention is intimate, hands-on, when today it’s more likely to take a lot of desk work, with a one-size-fits-all result. That’s where we are in the course of the Third Industrial Revolution. The first started with steam power and mechanical looms. By the early 20th Century we had electrical power and the assembly line. Today, we have digital networks and automated production. These technologies have unleashed industrial capacity on a global scale, but they’ve made making things less personal. There’s a disconnect between the 2D digital world, where you conceptualize and design, sitting at a desk, and the 3D world where things are built. Paradoxically, the next Industrial Revolution will bring production back to the workshop model by fusing together the 3D physical world and 2D digital world. At HP, we call this Blended Reality. Blended Reality is a way of humanizing technology and making it more tangible. Like Iron Man, you’ll grab ideas and manipulate them your hands. You’ll tinker, iterate, prototype, produce, and distribute – with machinery so seamless it’s nearly invisible. It’s not one technology that will give rise to Blended Reality, but many: mobility, the Internet of Things, smart machines, 3D printing, and immersive computing. 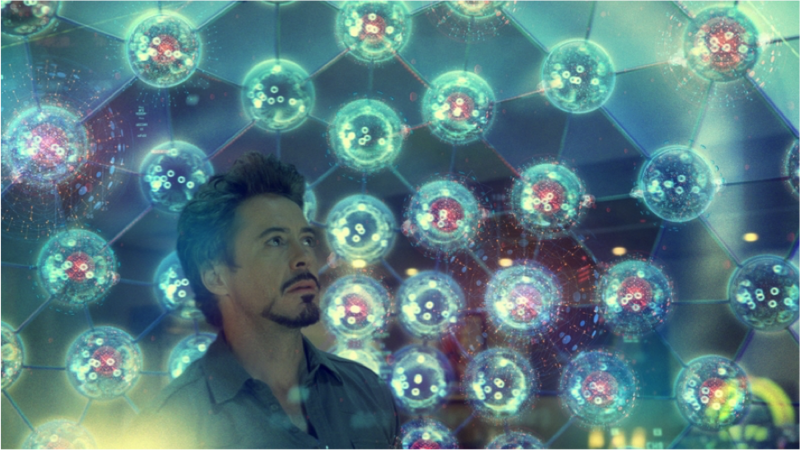 Immersive computing is what Tony Stark does in the first part of that scene. The second part, manufacturing at home, is what 3D printing already makes possible for DIY enthusiasts and the Maker Movement. Think of it this way: immersive computing is the technology powering the front end of the next Industrial Revolution: concept and design. 3D printing powers the back end: production and distribution. It’s for the Maker community and entrepreneurial minds that we designed our first immersive computing platform: Sprout. It started in HP Labs, where we tried to imagine a better experience for creators. Sprout integrates five devices into one: a projector, keyboard, scanner, touch canvas, and a 3D camera. Sprout went on the market in 2014, and we just launched Sprout Pro for creative professionals and classrooms, so you’re seeing the emergence of a whole new platform. From the consumer and education market, you’ll see immersive computing scale up to small business and even industrial applications. It may be a few years before Blended Reality takes hold in industry, but it’ll be essential for the world we’ll have in 2030. By 2030, there will be 8 billion people on the planet. In 1990, there were about 10 megacities, like Shanghai, Mexico City, and New York. By 2030 there will be 41, most in Asia. Urbanization on this scale will put massive pressure on the way we manufacture and distribute. The container system, as we know it today, is about 30 years old. The 40-foot shipping container, the industry standard, first appeared in 1984 and now carries about 90% of global freight. That system depends on ships, ports, rail lines, and roads. We actually cannot expand this infrastructure fast enough to keep up with urban growth. So, we need a new paradigm for the $18 trillion global supply chain. Then there’s the demand side. Megacities have their own unique cultures with intensely discerning consumers. Tokyo is only about 716 miles from Seoul, closer than Chicago and New York, but they’re vastly different markets. 3D printing gives us the potential to completely reinvent manufacturing to be both hyper-global and hyper-local. Instead of stocking a back room full of parts, an auto repair shop could download a schematic and print the part on-site. Retailers could customize products for local tastes and environmental standards. Industrial 3D printing is already here. Parts for many jet engines are made using 3D printing. But for Blended Reality to transform our industrial paradigm, we’ll need to simplify the design process on the front end and achieve much higher quality – at much lower cost – than 3D printing has offered so far. The front end means taking the hands-on design of immersive computing and democratizing it, globally. By 2030, we’ll get 1 million times the computing power for the same cost we get today. Digitization has an inherent tendency toward networking: information on a computer wants to be shared. Which means the digital services that today seem far-fetched, like immersive computing, will soon disappear into the background, like electricity and the container system. The back end, with 3D printing, is on-demand production. While today’s serial 3D printers give us impressive tools for customization and ingenuity, they all run up against the same four limitations. They’re slow, limited in quality, expensive, and they’re closed platforms. Building an object with a serial process is not only time consuming, but expensive. Current platforms are also only capable of using a single material. The range of possible items is then limited by various closed platforms that inhibit the sharing of ideas and designs. 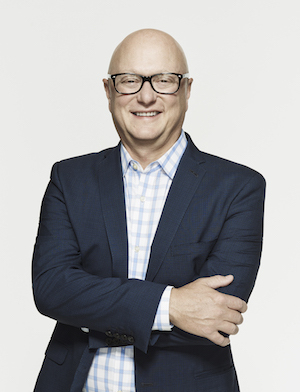 At HP Labs, we’ve developed a technology, multi-jet fusion, that solves these challenges. HP Multi-Jet Fusion is 10x faster than the 3D printers used by manufacturers today, and when we bring it to market by the end of 2016 it’ll be significantly cheaper than current alternatives. It also gives you infinitely higher quality. Multi-Jet Fusion means you can print with multiple, advanced materials. Soon, you’ll be able to change the color of an individual voxel, or change its translucency, elasticity, or electrical properties. And because it’s open source, anybody can bring different materials to the platform. By removing the limits of previous 3D printing, inventors can move from thoughts to things instantly, and Blended Reality manufacturing could span the globe. There are applications for agriculture, aerospace, medicine, cars, and industries we haven’t even thought of yet. All these technologies will be on the market this year. By 2030, things will really start to look like science fiction: At HP Labs, we’re experimenting with 4D printing, using smart materials with active properties. Imagine an airplane wing that can change its curvature in real-time to increase lift based on atmospheric pressure and weather conditions. That’s the near future. In 1967 Star Trek predicted mobile phones, but they couldn’t send email, not even in the 1990s’ Next Generation. In practical respects, by 2030 3D printing will work just like Star Trek’s replicators. Three hundred years early. 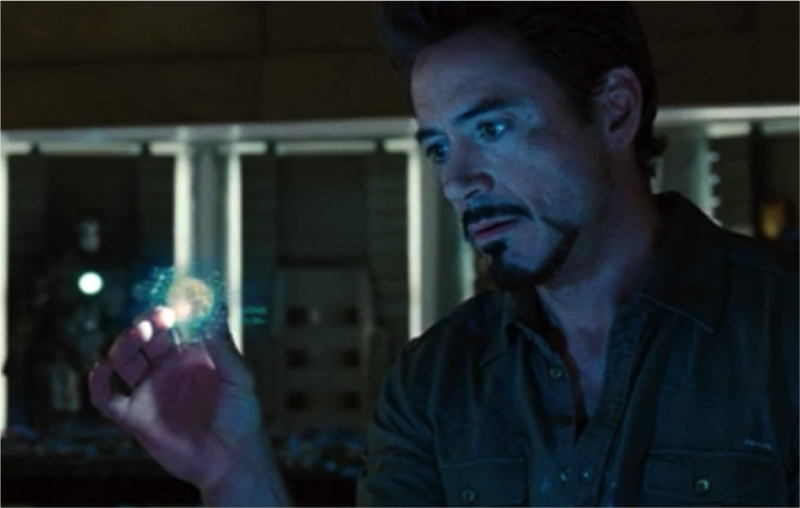 We’ll have Iron Man’s lab, distributed production that works like teleporters, smart materials that change shape as needed. And to make it, we’ll use the tools we were born with – our hands. Great article. Thanks for publishing. The most striking senctence to me: ‘Get Your Hands Dirty Again’ Making and working with hardware is hip and happening again. I say again, because as a veteran in tech, more specifically in IT, as a electronics engineer I’m so glad that golden years for smart people being able to ‘Get Your Hands Dirty Again’, are in front of us. Blended Reality…3D printing is indeed a great phenomenon.HP has greater potential of changing the world not just in manufacturing sector, aerospace sector- if NASA adopts this technology then they don’t have carry parts, they could just manufacture on demand.